You can partner with us to offer Trueweddingstory.com content on your venue website. We create "mini-sites" with your venue or resort brand that showcase your testimonials and link seamlessly to your website. 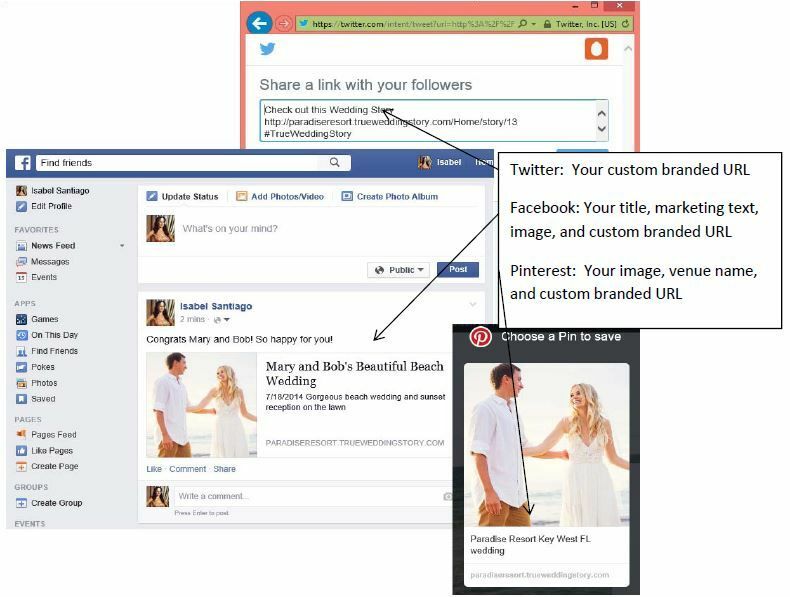 Your wedding couples create marketing materials for you! You provide your happy couple with a custom webpage where they can tell their wedding story and upload photos. Future couples visit your site to read the stories and view the pictures. They visualize themselves at your venue. Then they pick up the phone and call you. Testimonial based marketing and social media has taken over. We harness that power to ramp up your venue sales. As a wedding venue, you face a constant challenge to provide current, quality marketing content and photography on your website. Staging and photographing a mock-wedding to showcase your facilities is time-consuming and expensive; and cannot be executed often enough to keep pace with changing trends in wedding styles. The obvious solution is to use the testimonials and professional photography already contracted by satisfied customers- your happy brides and grooms. 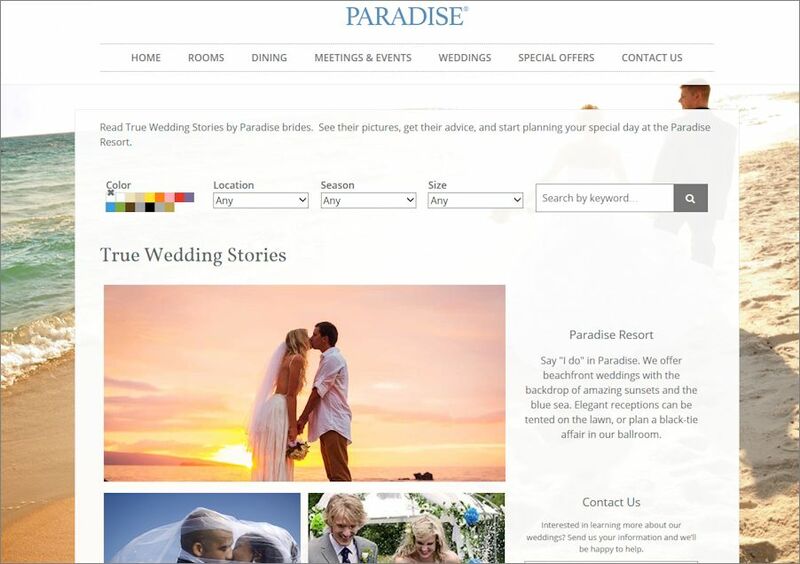 Trueweddingstory.com is an online marketing tool allowing you to easily solicit and display testimonials and photographs from wedding couples on your wedding venue or resort website. Our team creates a fully branded, customizable mini-site that is linked seamlessly to your wedding website. The mini-site is branded with your logo, background image, font, and color scheme. Your newlyweds will upload their stories and photographs using a simple, interactive online survey. You have the option to customize the survey to upsell the unique offerings of your brand. You also have the ability to approve, reject, or comment within stories. You have full control of your brand, and your newlyweds create marketing materials for you! As an added value, your wedding stories will automatically publish to your mini-site AND www.trueweddingstory.com. You provide your happy newlyweds with a webpage where they can complete a fun, online survey. There they can tell their wedding story and share their photographs. When they upload their story and photos, you get a message that a new wedding story is pending for your review. Once you approve the story, it is automatically published on your mini-site, AND www.trueweddingstory.com. 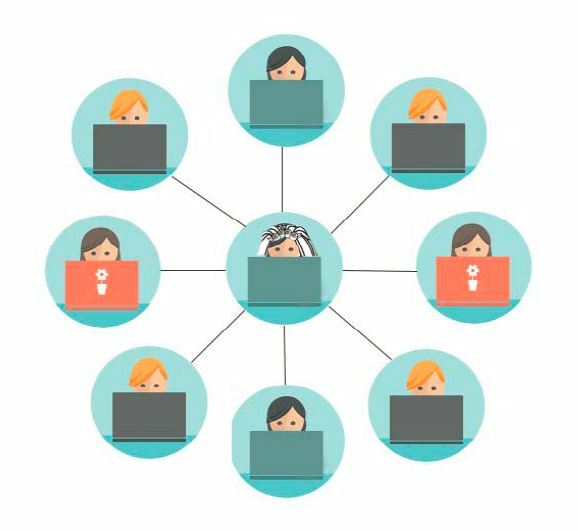 No more chasing brides to gather content for time consuming blogs -- one click and you have compelling content for your wedding website, and positive reviews on www.trueweddingstory.com! Testimonial based marketing has taken over -- this is evidenced by the popularity of such sites as tripadvisor.com, angieslist.com, and more. The wedding market is no different. All major wedding publications and websites now prominently feature editorial/testimonial style content showcasing real weddings. Reality-based television shows now dominate the airways, with plotlines from dress shopping to honeymoon competitions. Added to this trend is the growing power of social media. Nearly half of all brides are active on social media for wedding planning. A positive reference of your brand on social media is in effect a peer recommendation. The average bride is 29 years old* and has 300 friends on Facebook*. When a bride shares her Trueweddingstory.com story to Facebook, 300 people see your brand as a peer recommended wedding venue. And when that bride uses Twitter and Pinterest you reach even more soon-to-be brides. Please contact us to find out more about our wedding venue partnerships, and how we can help you drive more business to your venue. Email us directly, or submit the contact form below. A sales representative will contact you with more information. We look forward to working with you!